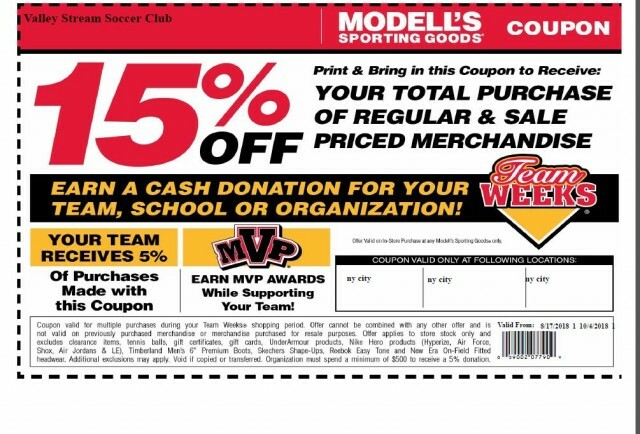 Updated Thursday October 11, 2018 by ..
Click on the link below to download and print the 15% Coupon for regular and sale priced merchandise at Modell's stores. Pass along to friends and family. The Coupon is valid through October 4, 2018. You can use it more than once. Do not procrastinate. Take advantage of this discount before the season starts. Read the fine print for limitations.